How It’s New York: Glen Hansard was living in New York last year, and this album reflects his time here. How It’s Irish: Glen is Irish and got his start on the streets of Dublin. He wrote the music for and starred in Once. A version of this article was first published in Irish Examiner USA. 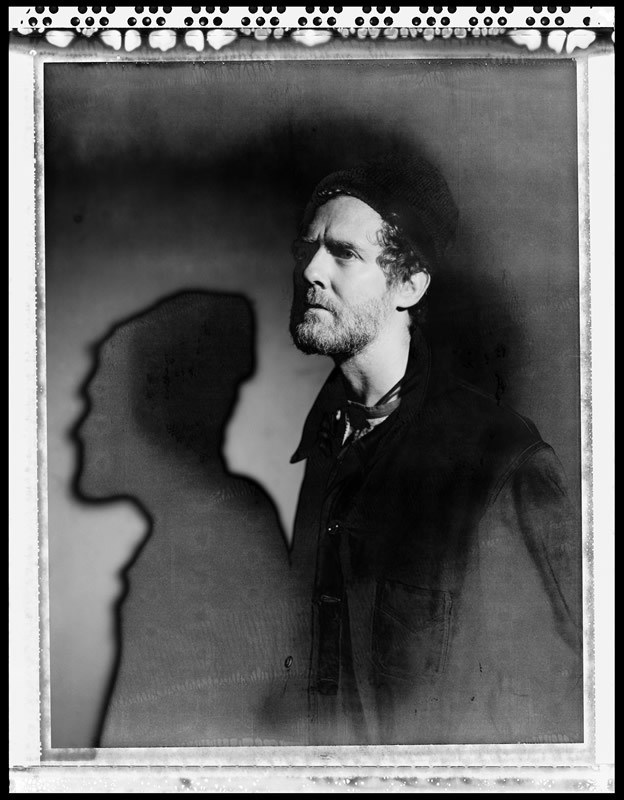 Glen Hansard’s Rhythm and Repose came out on Anti- records on June 19. He will be at (Le) Poisson Rouge on June 28, and at The Beacon Theatre on June 29. Rhythm and Repose, which comes out on Anti- Records on June 19th, is that. And more. It is a hot bath you’ll stay in until your fingers wrinkle. It’s the CD that you’ll want to play in the car as you drive across the country, looking out at the sky as the trees roll by, reflecting on where you’ve been, where you’re going. If you’re unfamiliar with his sound, he crafts simple melodies that build to a passionate release, a little like Van Morrison, a little like Dylan. Each song on Rhythm and Repose is full of emotion and heart. The orchestration creates a different musical world for each of the 11 songs. There’s White Album-like focus on detail. Yep, I’m back to John Lennon again. Produced by Thomas Bartlett (Doveman), Rhythm and Repose is Glen’s first solo album. He raved about playing with people who’ve played with Mingus, Levon Helm, Springsteen. Still scruffy-looking at age 42, with a ginger beard and red cap, Glen began his career busking in Dublin at the age of 13. He played with the band Kila, then formed The Frames, acted in the film The Commitments (1991) starred in the Indie film Once (2007) and unexpectedly won an Academy Award for the song “Falling Slowly.”He played and toured with costar and love Marketa Irglová as The Swell Season. The Broadway musical Once recently won a bunch of Tony Awards. Glen also contributed two songs to the 2012 film The Hunger Games. When I brought up John Lennon, I was thinking of the intro to “Maybe not tonight,” which sounds a lot like “Mind Games,” but then there’s Glen’s voice. He growls, or whispers, or shouts, always on key, and always reaching right inside to the heart of the song. But by the end of the song he’s screaming, “I’m not leaving!” before it all quiets again. The passion and sincerity in his songs almost hurts. You think that’s the end of the line. It’s so open, it’s wrenching. Marketa Irglová sings harmonies on that one. She’s married to someone else now, but the pair still collaborate. It would be easy to read much of the CD as rueful love songs to her, but that’s only one possibility. And just as Chekhov’s heroines really want to get to Moscow in The Three Sisters, even the sad songs come from the point of view of someone trying to make sense of things, and find some peace. “Love don’t leave me waiting” is one of the few breezy, relax-in-the-sun kind of songs (and the video, out now on youtube, shows Glen chilling by the water in Jamaica, with people dancing and a very calm looking black lab). The chilling “What Are We Gonna Do” (the liner notes say the song is “after Paddy Casey’s ‘Sweet Suburban Sky,’ and it follows the melody of that song) is as powerful a song about the fear of the end of love that has ever been recorded. Its silvery strings in the background add to song’s sense of hollow yearning. The shock of Marketa’s voice coming in to take a verse is like a sucker punch. And yet, despite the sorrow that drives it, the song doesn’t belong on your “music to be miserable to” playlist. I asked myself why, and I asked Glen too. “People always say to me, ‘your songs are really sad,’ and I’m like, really?” His voice went up about an octave on “really,” and I had to laugh. He certainly sounded happy when we spoke, conducting the telephone interview with me as he walked down the street. “I would say reflective sure, but not sad,” he continued. “I’m not a defeated person. I’ve never felt like that, and yet, I think all art is born of sorrow. I think sorrow is a place in us all and if you deal with it correctly you might make something artistic out of it. I asked him if he he thought he could ever write a happy love song? There was a pause, and then he said, sounding bewildered, “They are happy love songs.” Again I had to laugh. “You’re never thinking about am I being too personal or not personal enough, you’re just singing your song. “It’s not about me. It’s the song that’s king. The song is the thing that wants to be sung. A song needs to be loved. It works best when it serves. And really once you write a song, you spend the rest of your time serving the song. The song’s not serving you. So then, it should be OK that in “Races,” most probably conceived as a love song, the repetition of piano keys over extended chords, the lower range of Glen’s baritone, the lines about throwing away “old glories” and letting “you go gently among your kind” makes me think of the sidhe, and their hurling matches, their mischief and their melancholy. is the one song that brings a lump to my throat. The songs are open, yes. And truly great.